Great blogs don't happen without great content. Great content doesn't happen without trial and error. Writing a great blog post is not about "either you have it or you don't"; rather "if you don't have it, here's where and how to get it"; and that's where this post comes in. Let me show you how I went from a clueless writer to consistently writing blog posts that bring in thousands of visitors to Traffic Generation Cafe every day - with a step-by-step guide on how YOU can write great blog posts too. How does she do it?… ? How does that Ana Hoffman manage to publish so much content all around the web? I almost dropped out in my first year of college, because all we did was writing essays and I hated it. Yes, I am a self-professed lousy writer. Some years back, I set my heart on starting an online business. Shortly thereafter, I was told I needed to write content to promote my business. Yes, I needed to start a blog. And my distaste for writing? It had to be dealt with, one way or another. But first… a few pearls of wisdom. No one can truly teach you how to become a good writer. The good news is that writing a great blog post is not about “either you have it or you don’t”; rather “if you don’t have it, here’s where and how to get it”. There’s a reader for every style of writing. My first few blog posts were so bad that I quietly deleted them a while ago in fear they’d come back to haunt me. You know why they were so bad? I wrote how I THOUGHT my readers wanted me to. Turned out I thought WRONG and I lost the few readers I had to begin with. That was definitely a step in the right direction and my Readers agreed! Good example: my Promote Your Blog: 10 Steps to Ultimate Blog Promotion post. With that in mind, don’t stress out about making your post “sound good” by using lots of big words, descriptions, adjectives, etc. You’ll just waste too much time fluffing up something that most people will skim through anyway. If you don’t have one, I can’t help you there. However, I CAN help you with this: if you think you have no blogging personality, your idea of it might be all wrong. You don’t have to tell jokes, great stories, curse, write with “I don’t give a …” attitude, etc to be memorable. You don’t have to be sweet and cuddly and agree with everybody either. Find strengths within yourself and focus on what you’ve got. For instance, I realized that I prefer to write how I speak without bothering to sugar-coat anything. It took such a tremendous pressure of my shoulders to stop pretending to be what I wasn’t! And you know what, it works. Turned out my readers liked me for who I was. I think you should give it a shot as well. The only solid advice I’ve got for you here is to read a lot. Read other related blogs, comments on posts, forums, ebooks – you name it. That’s how the best ideas come to my mind. THAT’s how I literally have 20-30 post ideas at a time just waiting for me to whip up a post with. As your blog readership grows and comments start coming in, you’ll start getting even more ideas for posts. Someone might ask a question. Someone might say “I wonder…” or “what if”. If you aren’t getting enough comments to get you inspired yet, here’s a tip on how to use comments on popular blogs (it’s #6). When reading anything online, I always have my WordPress dashboard open with “Add New Post” tab in front of me. Every time I think “this would make a great post“, I create a draft with a title (even a rough version will do) and a brief description of the idea. I might also copy and paste an excerpt from the post that inspired me and the link I can use to link back to the original article. Of course, there are plenty of other ways to keep track of your ideas (Evernote, Instapaper.com, etc); however, I found that creating actual post drafts is the most sure way not to loose track of them. As I said, I am not a strong writer. It still takes me several hours to write a post and then another hour or so to style it, choose an image, etc – and that’s providing I had an idea for a post already. Now let me tell you one thing that held truth for me: PRACTICE MAKES PERFECT. Your brain is a muscle; it needs a good workout, just like any other part of your body. Work it out every day and it will start paying dividends soon after. This one should be already taken care of – you should have plenty of potential ideas at any given time. Pick a draft you’ll make into a post. Don’t knock yourself out trying to pick the “right” topic for an hour or so; remember, you already picked the topic by making it into a draft to begin with. Time hack: I use Drafts Dropdown plugin to help me access my drafts quickly and easily from anywhere at Traffic Generation Café. Just click on “Drafts” from the admin menu and you are there. First, type up the main points you want to make in your post. This will give you a push you need in case you run into a writer’s block in the middle of the post. I usually create my posts directly in WordPress. Many don’t recommend it, but the heck with their recommendations – it saves time and you won’t have any weird formatting problems when copying and pasting it later. WP is designed to save your draft every so often, especially if you upgraded to WordPress 3.6 like you were supposed to; if you are paranoid you might loose your work, save it more often. And the best thing about starting with an outline first? You can turn it into a Slideshare presentation, which you can turn into a video, which you can turn into an audio… i.e. leverage that outline by creating different content formats that will link back to your original post. That’s a great time-saver for me. If I leave it for later, I’ll feel like I am writing the post all over again and it seems to take forever. So I learned some simple keyboard strokes to make bold, italic, and underlined fonts as I go. If you are good with coding, you can add additional styles straight to your WP post editor. All the post styles you see at Traffic Generation Café (shadow boxes, alerts, drop cap letter, etc) are located in my “Styles” box and are ready to be applied as I write a blog post. They were coded for me by Ian Belanger – if you can’t code yourself, but would like to make the most of your time to work on your business, I’d highly recommend you give him a shout and he can do it for you too. and SEO (you create valuable links within your blog). To make your job of interlinking posts easier, I suggest to create a spreadsheet of your posts that you can easily look up when writing a new one. Ranking (this is optional: you can track whether that particular post is currently ranked for your main keywords). I share my blog post list with my email subscribers to use as a template as well as when they are looking for relevant posts to link out to from their blogs, but I will also share it for the sake of this post.  You can access my Traffic Generation Café Blog Post List on Google Drive here and use it as a template for your own blog post list. Just remember to update it as you publish more and more posts. Once you put together your blog post list, all you need to do is copy and paste. This is one of the toughest parts for me, since that’s where my copywriting skills are required the most: to coax encourage my readers to actually read the post and to get them to take action at the end. Great stories do create certain level of built-in virality, true. However, if you are not a story-teller, don’t sweat it; a sentence or two at the beginning and the end will do. I edit found images with SnagIt – resize it, add shadow, add text; pretty straightforward. By “finishing touches” I mean add your signature at the end, headings (the more you break up your content with H2, H3, H4 headings, the better – makes it easier to read your posts), preview your post to make sure it’ll look good when published, etc. The reason I like to check the HTML version of the post is to make sure my formatting is correct and to add any NoFollow tags as needed. A word on using Nofollow tags: there’s been a lot of frantic talks about nofollowing every link from your blog or even stopping linking out altogether. Nonsense. Read more about it in State of SEO and Link Building: Continuous Coverage of the Recent Google Updates. Just about the only links I strongly recommend you nofollow are affiliate links or paid links (if you are writing a sponsored review, for instance). To properly add my affiliate links to any post, including automatically nofollowing them, I suggest you use Thirsty Affiliates (it’s now available as a free plugin). Most copywriters recommend you START with a post title. I think it’s a great suggestion; it just never worked for me. Because of the way I write, I never know where my brain will take me from the mere idea for the post to the finished product. That’s why coming up with a great title from the get-go is not an option for me. YOU, however, are a different story. You have to figure out what works best for your creativity flow. OR go for the benefits and tell your readers exactly what they’ll get out of it up front. The latter one works better for me. How to Make Your Analytics Reports More Beautiful than a Double Rainbow … and Know What it Means! Are they “magnetic”? In my opinion, they are somewhat silly and would never make me want to click on them – I simply don’t see the benefit I’ll get if I do. …definitely hit the chord with me – they are practical, tell me what I’ll learn upfront, which absolutely makes me want to click on them. What I am trying to say is this: there needs to be a good balance between “magnetic” and common-sense. I also noticed that the posts with “practical” titles get more clicks and more comments in general. You’ll find more great resources on writing better headlines in 3 Practical Steps to Make Your Content Go Viral. The way I like to do it is by opening a preview of the post in a new window, while still keeping the draft in front of me. That way, as I read through the preview, I can see all the styling mistakes as well as check spelling, typos, etc. I go back and forth between the two windows until I am happy with the end result. This is the last thing I do: make sure you cross your T’s and dot your I’s for all your on-page SEO elements, pick your categories, get the post ready for social sharing and Schema markups, etc. Do what you need to to take advantage of any possible search engine traffic you can, in other words. There’s NO such thing as a terrible writer! Writing great blog posts is a matter of practice, listening to feedback from your readers, and adjusting your writing style accordingly. PS If you’d like for me to visit your blog and give you a very quick critique of your content, feel free to ask me in the comments. Just be prepared for some tough love. For me it so weird and unbelievable, that person that couldn’t stand to write became such a great writer! It’s a big achievement and also great example for others. The things you describe here are really remarkable, especially I like that one about being yourself! What a compliment, Jessica; truly honored! Sure everybody can write; it’s more about writing stuff that people actually want to read. Good post. As always. What is very nice and funny is that call to action: “Show me you are alive!” It makes me laugh each time I read it. You dislike writing but, in your first year of college, you had to write a lot of essays. This makes me think it was a kind of literary or linguistic college. I am not so keen on essays either. I wrote quite a few in college but never like it. Probably I don’t like to be limited or constrained by rules, not even the rules of creating an essay and not even by my rules. I like to write but I don’t plan my posts in details. I just make a short outline because I know .. at some point I will change the direction and the outline will be no longer important. However, I understand the need to be organized and I always try to improve it. Rarely works and I always make another outline and plan things again just to see them changed after a few minutes. Bullet post type? I use them often because they really work but, honestly, I hate bullet points. I like my mind to roam freely inside the post or article or whatever it is. Drafts in WordPress? For the moment, no. Whenever I get a new idea I just write it in a spreadsheet so as not to lose it. Problems with the format? I didn’t experience any problems. I write all my post in Word than paste it in a Notepad file and then in WordPress. All the format is done in WordPress. I think I don’t like to write directly in WordPress because it somehow restricts my vision. It takes longer but I prefer this way. I always liked your idea of writing a piece of content and then create different types of materials: slideshares, videos, podcasts etc. Good tip with the outline. I’ll think about it. Create your blog posts list? Well, I don’t know. Maybe I should but I always keep a record with all the posts I comment and I have a list for Commentluv enabled blogs, another list for no Commentluv enabled blogs, a list for dofollow blogs and another one for nofollow blogs. Another list with my posts ? It would be my fifth. The most interesting part for me was that Style box you have. You said “additional styles in your WordPress editor”. This is something interesting because it is about coding and not adding another plugin to the list. I always try to find new ideas about how to replace a plugin with a few lines of code and I am not afraid to configure everything again when I upgrade my theme. Visit my blog? Oh, no! Please, no. I wanted this at some point in time. Not anymore. I am sure you will give me a very, very tough love. Probably too tough. Thanks for sharing your content creating strategies. It always give me some new and interesting ideas. I’ve loved your writing style from day 1 – if anything, you’ve honed an honest and straight-forward writing style that was already good. You’re absolutely right about one thing though – blog writing is not the same thing as book writing (though the lines may be getting blurred a little as publishing becomes easier for both and more digital too). Another great & comprehensive post – and well written! I tend to follow a specific method when I am posting a new article on my blog. I start out with an eye catching title that tells the reader what they can expect in a short sentence. Then the first paragraph sums up the article in general as many readers just quickly scan through most blog posts. I then follow the introduction paragraph with 3 or more header paragraphs giving the details of the post in case the reader wants to know more. Keep in mind that you should put the answer towards the beginning and then explain it in the rest of the paragraph. I try to be personal as well as if I am talking to a reader one and one. Sounds like a perfect recipe, Shawn; wish my mind worked that way as well. I was a frequent commenter on trafficgenerationcafe in the past Ana, precisely saying during those 2011 days. You blog improved abruptley since. You gave alot of confidence to get back into blogging. I was rather shocked to see blogging communities die, maybe because i wasn’t sure about how to generate traffic to my blog. I don’t check my personal FB profile too often; my FB page is much better. I’m also one of those sporadic writers. I get an idea and start writing as it comes to my head. Then I edit it and outline it and the last thing I do is add a header. I know it’s recommended to start from a header but it’s also never worked for me, as I don’t quite know how it will end once I start writing. I think the best way to get good at writing is to just keep doing it. After all, giving up doesn’t ever get you anywhere. You are very right, Laura – one size never fits all when it comes down to writing. It’s the end product is what matters. I very happy that I found your site I enjoy your ideas very much I haven’t see yet no one that comes to you regarding this area , is a must for anyone that want’s to further their knowledge in blog posting. Ana I know that I need to come again and read this again, so Ana thanks again for sharing your throughts. Ana have a nice weekend. Thank you, Tony; look forward to seeing you again. Writing a great blog content means a lot, it means writing what people will read and would like to share it with friends. What you’ve written here is what I would like to call an “Epic content.” Seriously, you kept me reading and nodding my head, and I had to read to the end. I’ve found more inspiration for my writing. Just to round it up, the post which has consistently been sending me traffic juice was a blog content I wrote to solve a problem which I spotted on an industry blog. This boils down writing a great blog post. Thanks for sharing this wonderful piece. Cheers! Thanks for the thumbs up, Jackson – always needed and much appreciated. And you are absolutely right: solving your readers’ problems always equals to the best posts we’ve ever written. Love this…. great article… completely agree, and also the comments seem to resonate with what other people are experiencing. I find writing in a conversational style seems to be quite effective, and people like that. Thank you, thank you, Jamie. I completely agree with the introduction of your post, greta blogs just don’t happen, you have to make them happen. And yes I was surprised to know that you couldn’t write at a younger age. As of for me, I have always been good with writing, the only difference being that I took to writing as a profession lately. Always great to do what you love, James. The issue of writing a super blog post or title has been a long time challenge to most of us, at times we get confused over what the so called pros are saying. however, if a blog must excel, then good content headed by a captivating title will do the miracle. Thanks for this topic. Ana — all great tips. I know everybody advises it, but I find it difficult to outline a post. I need to start writing and then along the way the outline falls into place. This has been a big, dark secret and this is the first place I’ve revealed it! I, too, write a lot of posts right in the dashboard. I’ll get an idea and, boom, right to the dashboard. I don’t see why there is a downside. I do have a list of post ideas but I don’t have a schedule of posts. That’s because I like to write opportunistic posts — jumping on the news, for example, with a my take on a breaking story. Or learning something new (as from you) and writing about it. As you said, we’ve all got to find our own voice. We can’t compare ourselves to other writers and beat ourselves up because EVERYBODY has better content. No they don’t. Hello Ana, I’m very glad I came into this page. Although I don’t think I’m a terrible writer I feel that my writing skills is not enough. I always check the stuff I have written from time to time. If I can, I even ask others to review my stuff just to check the errors in my output. I’m always feeling hesitation and doubts. What I do is open my mind to possible criticisms and equip myself with constant research of the topic that I’m going to write which greatly contributes to the heart of the article I’m writing. I am truly inspired by this post.Thanks for helping out. Hey Anna, this is my first visit on this blog; I’ve read some of your posts that sound very interesting. I’ve my blog and worrying about; how the write good post. This post have very informative guide regarding good post. Thank you for sharing. And please do remember to use your name next time you comment at TGC; much appreciated. I write for a living. It’s pretty much my only real talent. These are great tips even for an experienced writer who loves spilling words from their head to a screen. One tip that helps me is to break free of linear thinking. I have a very hard time with intros. In a 500 word article, I used to spend half an hour on the intro and 20 minutes on the rest of the content! Once I stopped thinking that I had to write from the intro to the conclusion in order, though, I became way more productive. When I’m stuck, I write the body first, then the intro last. I also agree with Harleena: the only thing that makes a writer good is practice. We also have to be willing to change and adapt. My first blog posts were well written in a structural sense but completely devoid of personality. I was used to churning out content for sites that liked to keep it dry. Once I started using my own voice, it became so much more enjoyable. Definitely love your personality, Nikki; it makes your blog stand out from the rest. That’s a great tip – writing an intro at the end or… whenever it comes to you really. That’s what I do, otherwise I am in the same boat as you are – taking way too long to come up with something that makes sense for a post I haven’t written yet. Great article. One thing I have learnt about writing. The more you write, the better you become and the easier it gets. Write everyday bloggers. Actually, I got a D in a class I loved to hate… I think I am a writer today because I did SOOO poorly in the “College Composition” class I took in High School. Dang teacher made us write every single day. I think I made up my mind to just do it better. Dunno if I’m a great writer even now but I can surely identify with your distaste for writing. Bleah. So, I do this too…. every time I get an idea for a blog post, I START one. If you looked “under the hood” of my WordPress you would see about a dozen drafts at any one time. One terrible writer to another… it’s good to see a common habit. THANKS for sharing your post list (Google Doc)… Needed to do a better job at interlinking and this was the perfect solution. Thanks for letting us have a peek. Oh, and the idea of leveraging the content to SlideShare is nothing short of inspired. Cool. I have one idea to share that’s helped me write when I’m stuck: I will actually talk the post instead of writing it. With a general outline, I’ll pretend I’m giving a keynote lecture… or talking with a friend… or being interviewed for a newspaper… anything to get me out of my own head and start talking. These talks can be recorded and even transcribed on Fiverr for cheap. Recorded or not, verbalizing thoughts audibly helps me to organize ’em better. Anyhoo, that’s a hack that works for this old dawg’s brain. Thanks again Ana for this post! Good to know even the greats sometimes get stuck, and what they do to get UNstuck. “Talking” through a post, huh? Never tried it… I like it! And definitely love the potential for content repurposing – fewer steps to get more done – brilliant. That is something that I have done as well. I just outline the highlights of the topic I want to talk about. Then I make a video about it. I haven’t gone as far as transcribing, however, I do see the value in it. Also, with more and more people using voice to search, it’s not a bad idea to transcribe videos. I keep a to do list of ideas for rainy days. It’s the same concept as drafts I guess. A lot of people would suggest that this is where a Virtual Assistant comes into play. However, it is definitely not for everyone. Not everyone feels comfortable delegating tasks to someone they have never met. That’s a topic for a whole other conversation. Ran across this post from twitter, amazing stuff. I’ve been aiming to get back into blogging and have been a bit rusty in putting together quality non-technical posts. This was a great help in getting me back into the swing of things. Keep up the awesome work! Thumbs up to Twitter for sending you my way! Writing simply is not always that simple, isn’t it? I really liked this post, and you are by far NOT a bad writer! It’s too bad you don’t enjoy it. I liked the tips you gave, and I’m glad that I’m already following a lot of them. I just connected with you over on SoundCloud and I think it’s an awesome idea to put your post in audio format. You are on your way to becoming a podcaster in no time. Let me know if you need help getting listed in iTunes. I like the idea of using a spreadsheet. I noticed at the bottom of your you have a ways to go with filling in the YouTube videos section. Try the YouTube Title Adder Extension (I did a YouTube video on it) that might be another time hack you can explore. Thanks for the post and all the inspiration. Thanks, Ileane – audio is not my favorite medium, but I am trying. I haven’t thought of putting them up on iTunes, but I suppose I should, right? Understand what you mean, Sheila; welcome to the writing non-writers club! Very helpful article Ana. Reading comments and forums is a great way to find ideas for blog posts. One of my most popular posts came from a problem people were having on Google+. I had the same problem, so I resolved it and explained how I did it. That’s perfect, Mary – if we know how to listen, we’ll never have to worry about blog post ideas that people actually want to read. Perhaps I can so well relate because writing is all that I do! You are SO right in ALL that you said, you really leave me no words to add to the post. But once you visit other blogs and learn the way things are supposed to be done, you get better. I like your idea of creating drafts as and when you across anything worthwhile, though I’ve yet to learn how to write in my WP! I prefer the old way or writing in good old word and going through those copy paste options, but your post inspires me to give it a try. I agree, having all your posts listed up as you’ve done works best, especially if you’ve lots of posts because it becomes tough to hunt for them otherwise. Like you, it does take me a few hours to get my post ready, or perhaps the post length runs rather long, but I wouldn’t like it any other way. I also sleep over it and check it thoroughly the next day with a fresh pair of eyes…and yes, there are always a few errors! Coming from someone who writes for living, this is quite a compliment, Harleena; thank you. I think you should definitely give WP drafts a shot; it just might be what you need to speed things up a bit. You are so very welcome, Zsuzsi.